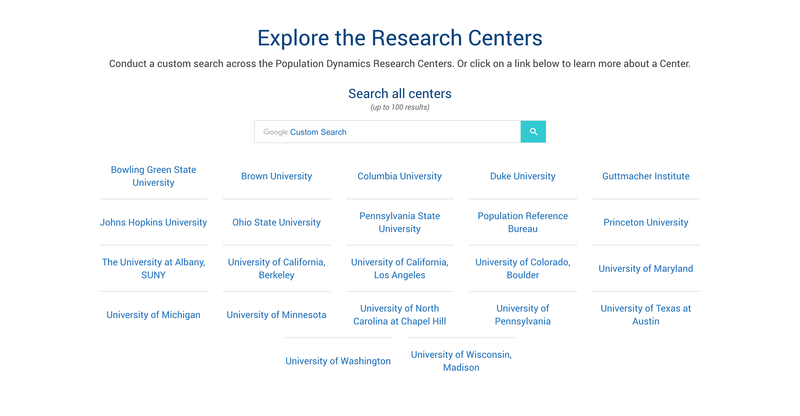 Population Dynamics Research Centers is a project of the Center for Public Information on Population Research (CPIPR) at the Population Reference Bureau (PRB). 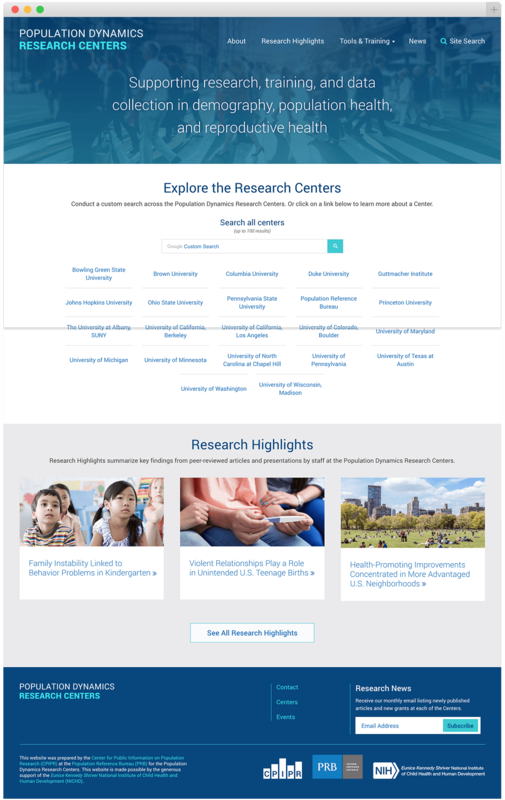 CPIPR was awarded a grant to serve as a hub for disseminating research, and their WordPress powered website needed to be the central location for major research on population dynamics from across their research community. We led the team of PRB staff members through content strategy workshops to determine the best way to highlight and curate the Centers’ research. 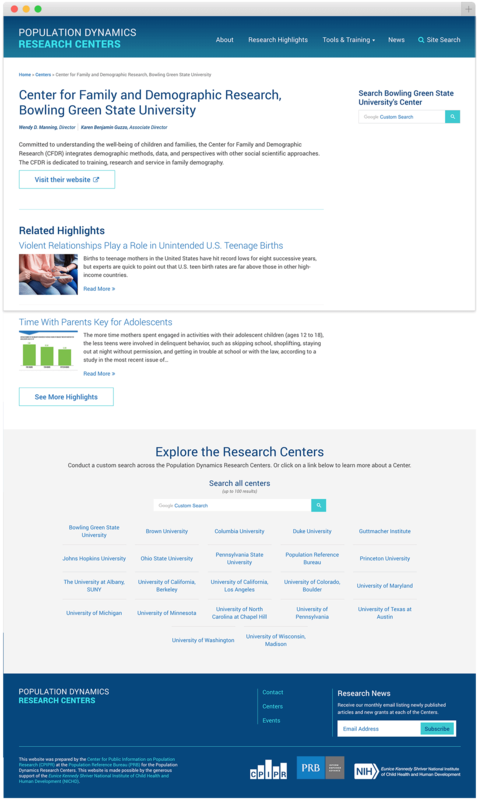 This curation allows grant funded research centers, and a larger community, to learn from new insights, new research and new ideas through center pages that aggregate related Highlights and News written by the CPIPR team. We also used a Custom Google Search for users to search topics across the network. For many years CPIPR, the Center for Public Information on Population Research, has provided a central location for major research on population dynamics. It has become even more important to link researchers with each other and their work in the interest of informing the field of new insights, new research and new ideas. A new website was just the thing. Rocketkoi developed a roadmap that very quickly started shaping ideas how a new website serving several audiences could be accomplished. 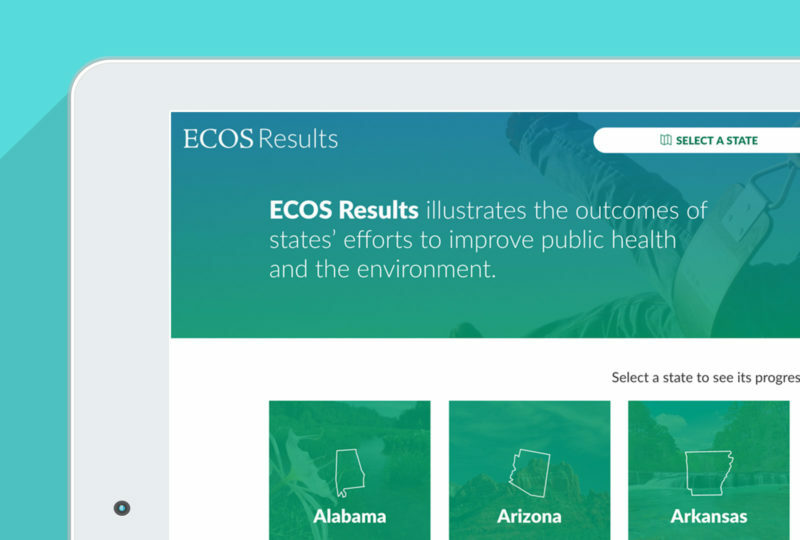 In addition, there was significant content migration and strategy, both which were handled in such a way that the structure of the new site was different, but far more simplified and better organized, and thus easier to use. We had several well-organized meetings that each time distilled our collective objectives towards what became the website, which was delivered on schedule and budget with room to spare.